TORONTO, November 1, 2018 – Following complaints from Canadian accountants and members of the public regarding significant service delays, the Canada Revenue Agency has launched a national consultation tour and touting the appointment of a new chief service officer. 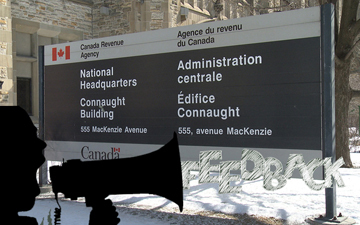 “The CRA is listening to Canadians, changing how it operates, and improving its services with the goal to be trusted, fair and helpful by putting people first,” explained a CRA spokesperson to Canadian Accountant. The CRA appointed its first chief service officer, Mireille Laroche, in March 2018. Laroche is a longtime civil servant with academic background in economics who began her public career in the Department of Finance. She will hold the titles of Assistant Commissioner of the Service, Innovation and Integration Branch, as well as Chief Data Officer. The Minister of National Revenue, the Honourable Diane Lebouthillier, has visited a number of remote locations over the past year to discuss service issues. Over the coming year, the CRA will deliver a number of service improvements such as opening Northern Service Centres in territorial capitals, enhancing the CRA’s digital services, and implementing a new call centre platform. The CRA would not provide details as to feedback or the number of attendees thus far at its consultations, but there are six remaining consultations in 2018 specifically for Canadian accountants, held in conjunction with provincial Chartered Professional Accountant regulatory bodies. Register here to attend the consultation. If you can’t attend, you can provide feedback online. By Canadian Accountant staff with files from the Canada Revenue Agency.